Some problems seems like they might be good to have. The burden of rule, for instance, or the tedious duties of court life with its stuffy banquets and dressing up. Returning to court after a long absence should be a relief for Wynter and her father Lorcan Moorehawke. But King Jonathan's kingdom has changed in the years they were away in the North, and high social rank has become more of a prison than a privilege. The Poison Throne is set in a medieval world very like our own, with the same religions and geography. The main political difference is that Europe is divided into lots of small kingdoms rather than countries like France and Spain. Celine Kiernan's world also has talking cats and plenty of ghosts. It's a mixture of fantasy and alternate history, although the historical elements are kept firmly in the background. On Wynter's return she finds lots to disturb her. Cats and ghosts have become taboo subjects, inquisition and torture have been reinstated, and Prince Alberon has disappeared. Jonathan wants his illegitimate son, Prince Razi, to take Alberon's place as heir. But Razi would rather be a doctor and remain loyal to his half-brother. He knows that the people won't accept him and the nobles will try to kill him. Wynter is suspicious of Razi's new best friend, Christopher Garron, who is a stranger to the court and its ways. She fears that Christopher's naivety will get him in trouble and drag Razi down with him. Meanwhile Wynter's father is ill and the drama of court takes its toll on his health. Between dangerous ghosts, repression, and political assassins Jonathan's realm is an unsettling, paranoid place. Wynter struggles to understand the king's erratic behaviour and his change from a loving father and a just ruler to a tyrant. The story focuses on the danger of knowledge, and the idea that some things can't safely be shared with the rest of the world. Characters struggle to keep a lid on things that should not have been discovered, but the cost of keeping this silence is high. Those in power are obliged to make choices between duty and family, and between their own happiness and the future security of their realm. This isn't a novel with utterly black-hearted villains or one-dimensional crazy bad guys. Instead the characters seem to be reasonable people with complex motivations, not easily slotted into simple categories of good and evil. This makes the mystery of how they reached such a crisis all the more fascinating. One of the most appealing aspects is the intense, personal tone of the story. It's similar to Robin Hobb's Farseer stories in this respect. We see the tale through Wynter's eyes, with her fierce focus on the small group of people she's very close to. Though she's young, sensitive, and relatively powerless she acts bravely and shows backbone when it matters. 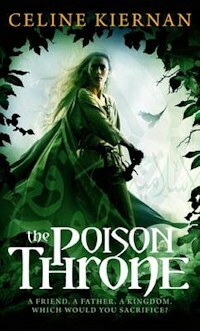 It's carefully depicted, believable characters like Wynter who make The Poison Throne a compelling read. This is a subtly romantic story that will leave fans of intrigue and adventure hungering for the sequel. A young queen discovers that her people are endangered by the legacy of a tyrant. 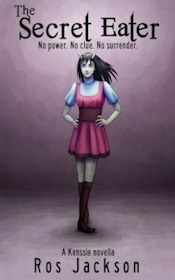 The third novel in the Graceling Realm series. The second novel in the Isavalta series is a prequel which takes the daughter of a fishing family into a realm of magic, treachery and scheming royals.